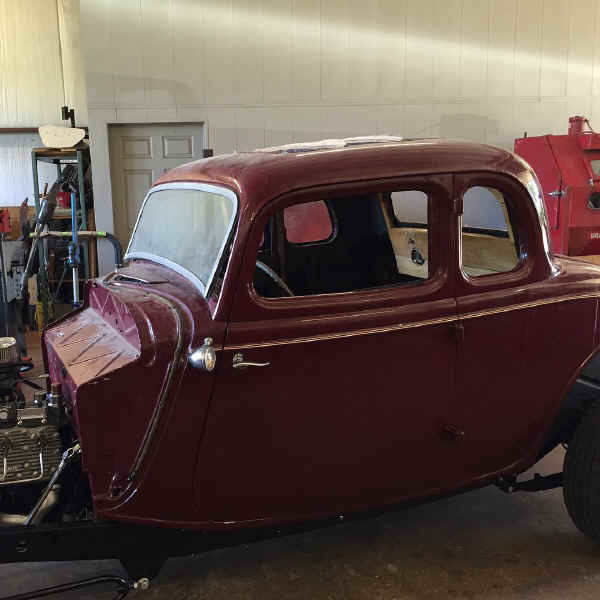 THIS ALL STEEL FULL FENDERED 1934 ORIGINAL FORD COUPE WAS BROUGHT IN FOR COMPLETE PAINT AND BODY!!! 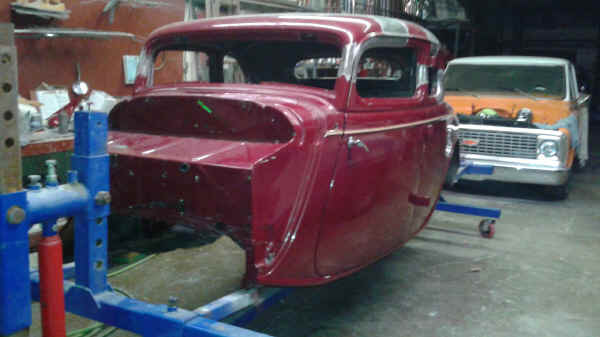 WE STRIPPED THE OLD BODY DOWN AND REWORKED EVERY PANEL!!! 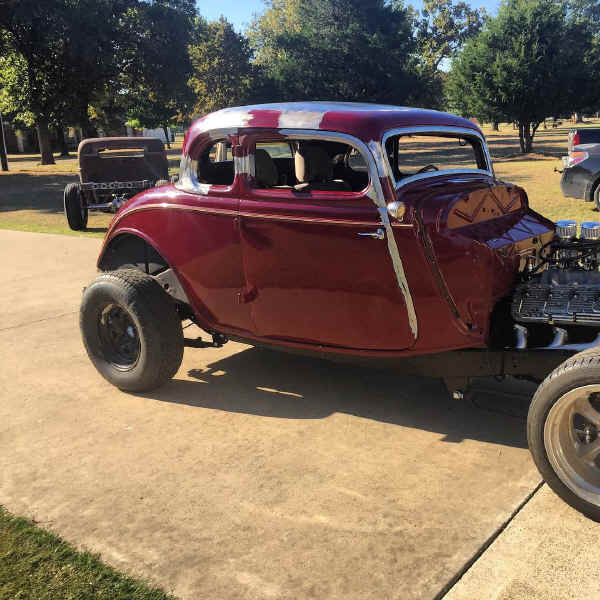 WE THEN SLICKED THIS BABY OUT AND REASSEMBLED THIS HOT ROD!!! 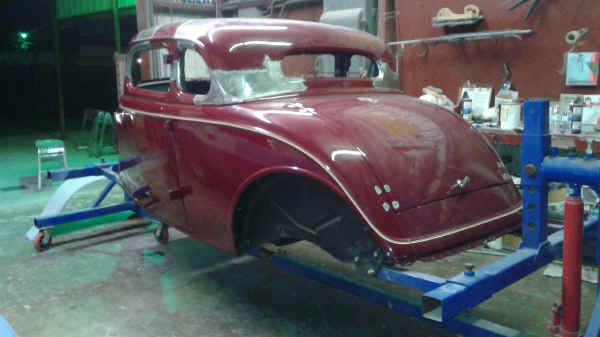 SOME FEATURES OF THIS BAD BOY ARE A CHOPPED ROOF, FLATHEAD AND A 5 SPEED!! !